Population falls from 600,000 to 270,000 in just 5 years. 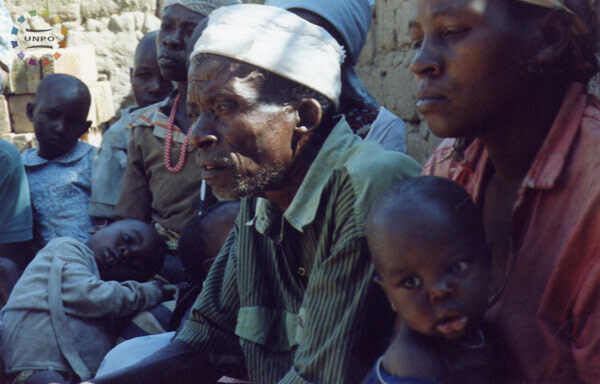 The Batwa population is reducing faster than that of other minority communities in western Uganda. The executive director of the World Peasants and Indigenous Organisation, Fredric Wangabo, said the Batwa have decreased due to unfavourable factors in the neighbouring areas. Wangabo said research conducted by the organisation in the past five years shows that the Batwa fell from 600,000 to 270,000 within the Great Lakes region. “It is unfortunate that our people are continuing to perish without any intervention by the governments,” he said. Uganda’s 2002 census report put the Batwa at 6,705, but the pygmies had now reduced to about 4,000, he disclosed. Wangabo was speaking at the launch of a documentary on the Batwa entitled Global Warming, A Concrete Experience With Pygmies Lives at the Grand Imperial Hotel in Kampala recently. The Batwa pygmies are indigenous people living in the forests of Kisoro and Kabale districts in western Uganda. The pygmies are also found in eastern Congo, Chad and Rwanda. “We want to fight the discrimination against the pygmy people and exploitation of their land and resources. Many of these people live in forests, where they are forced to work for seven days for food worth $l (sh1,950),” Wangabo said. He added that sexual abuse among the pygmy women was rampant. Wangabo said the Batwa do not have health facilities, schools or shelters. They also have no access to clean water. He said many of them were also being killed by neighbouring communities for land. “Many Batwa have been dispossessed of their land by Government departments responsible for conservation and the Bakiga cultivators,,” Wangabo said. He asked the Government to get permanent land for the pygmies to avoid their evictions from forests. Speaking at the same function, tourism state minister Serapio Rukundo said the Government planned to integrate the Batwa and other minority groups in all government programmes.